AT-X = "All Terrain" and "On the X!" 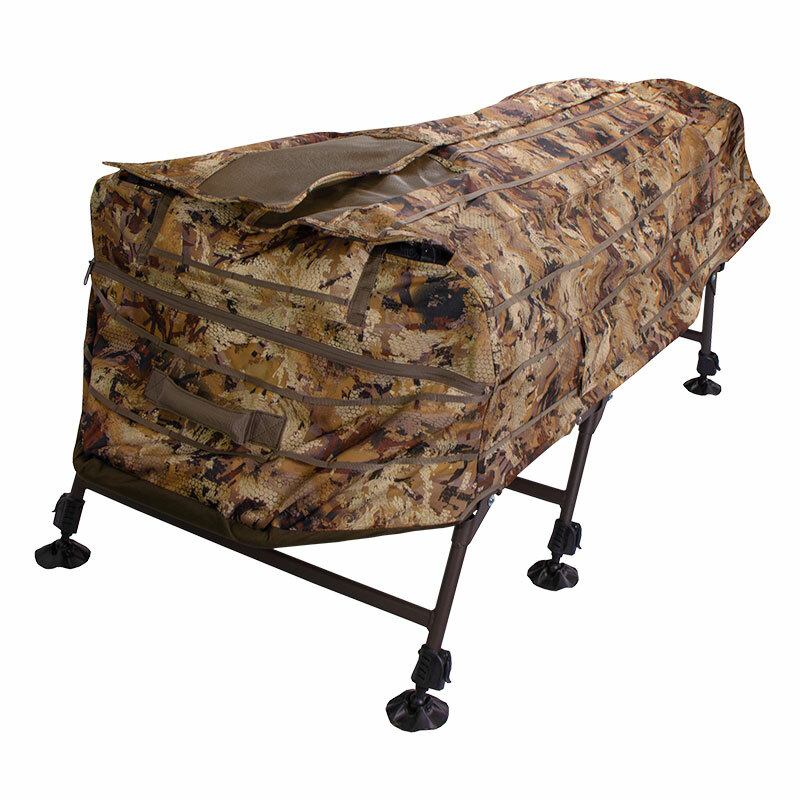 -- Combines layout boat versatility with layout blind mobility. 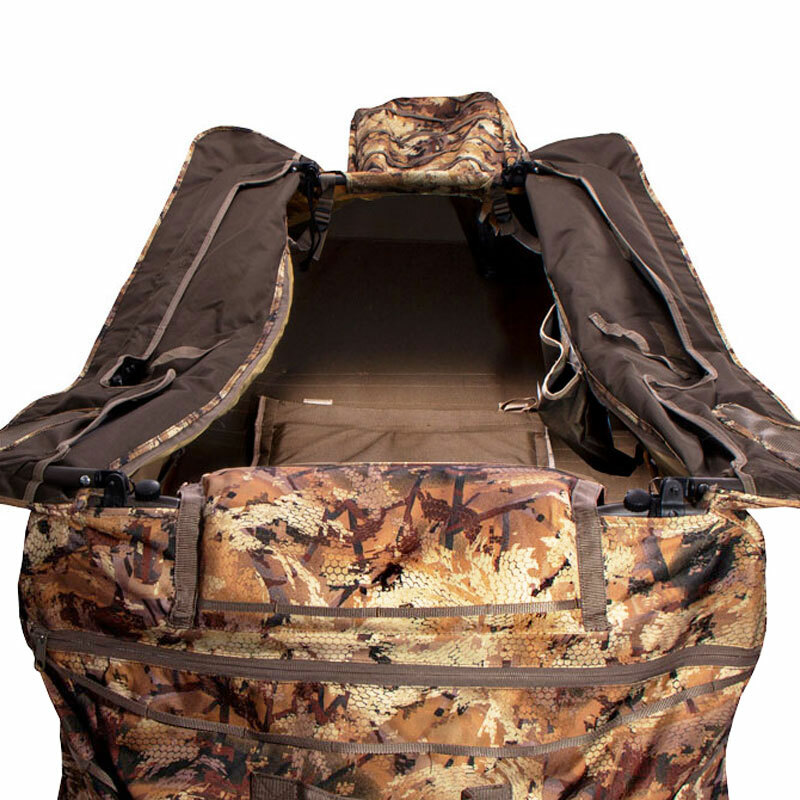 The MOmarsh AT-X InvisiLAY combines the aquatic versatility of a layout boat with the mobility and compact size of a layout blind. With three sets of folding legs that are each independently adjustable, the AT-X is as effective and comfortable in shallow water settings as it is on dry ground. The same innovative telescoping legs and "duck-style" feet that MOmarsh first introduced with their InvisiChair and InvisiLab blinds, keep the InvisiLay from sinking into the mud. 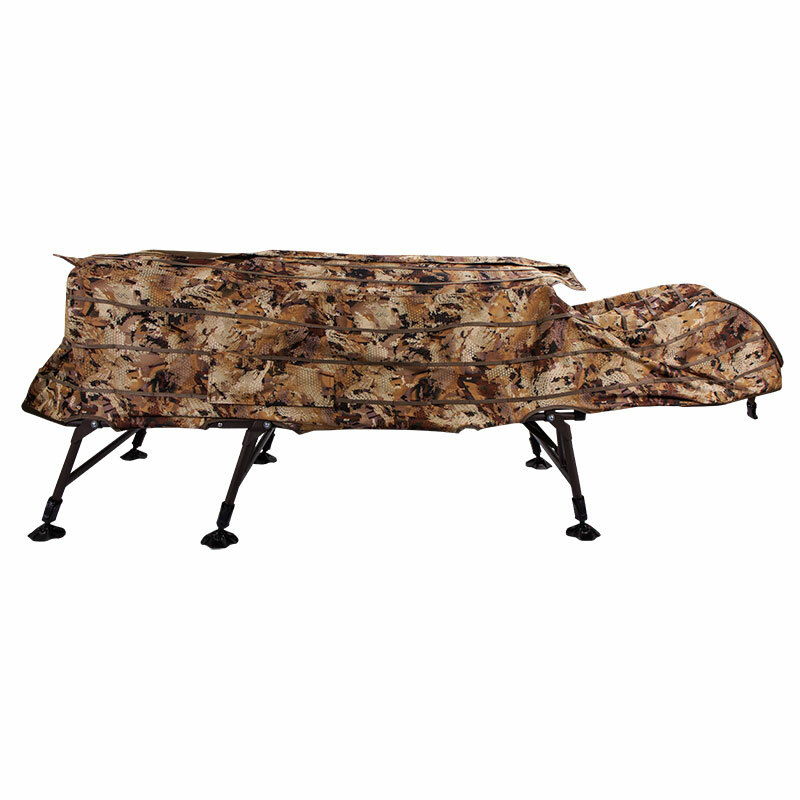 Once assembled, the legs are adjustable from 10 to 16 inches tall. 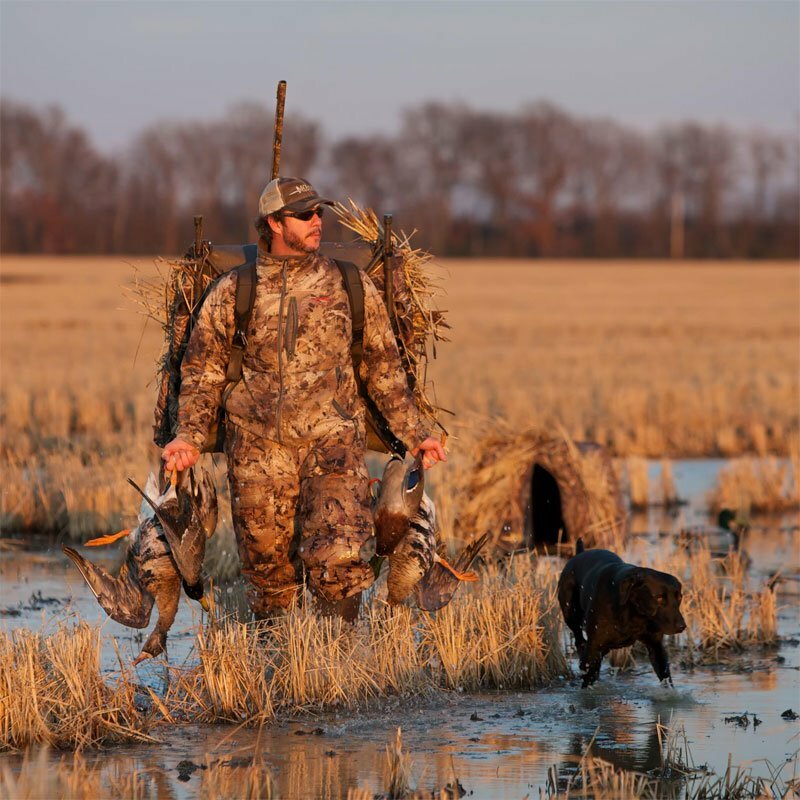 This makes the AT-X a perfect tool for reaching those hard to get birds that like to loaf in the middle of rice fields and shallow marshes where they assume they are safe. 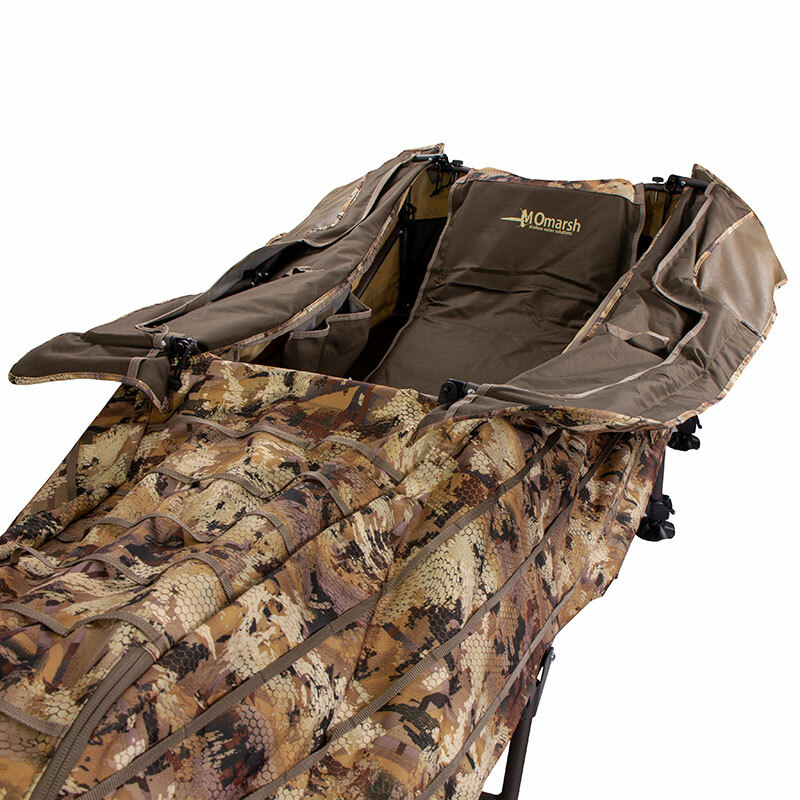 When the time comes to chase the birds to dry fields simply fold the legs up on the AT-X and head that way. 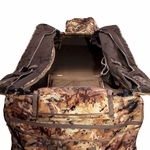 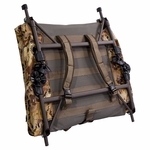 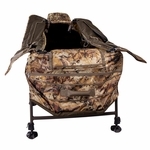 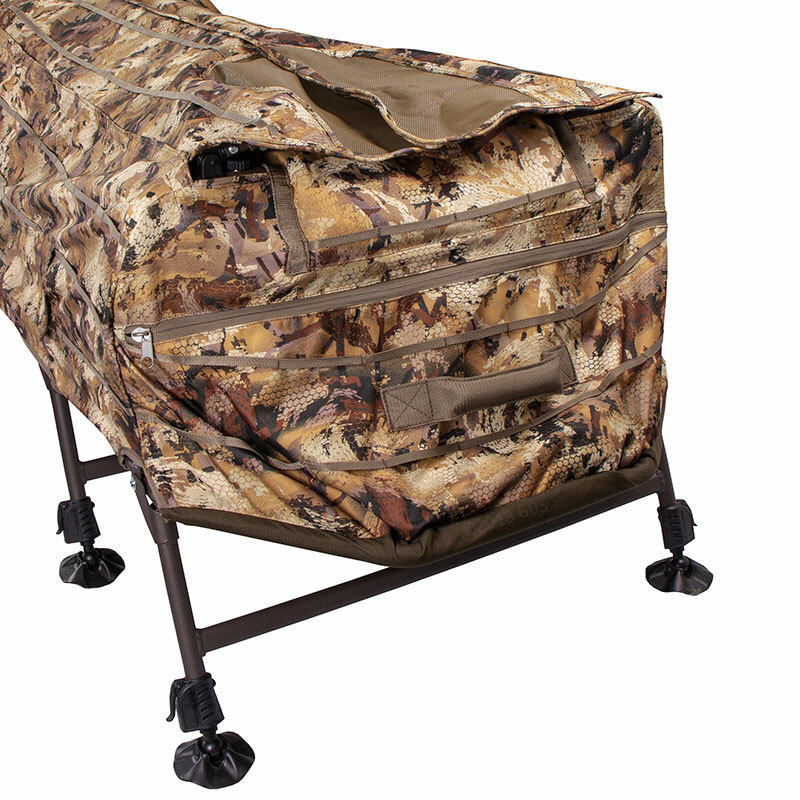 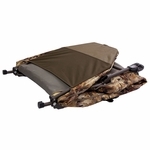 The AT-X has built-in padded back pack straps that allow for convenient mobility when hunting walk-in areas. 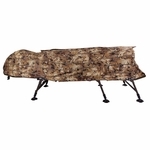 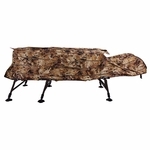 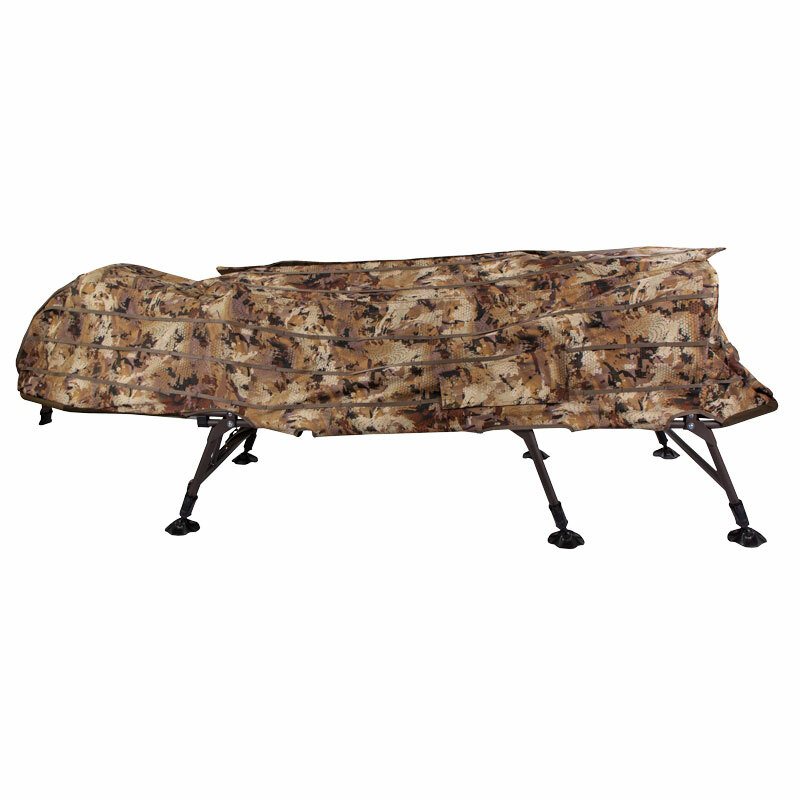 If you are tired of buying several different blinds for multiple hunting situations, then look no further. The AT-X is a revolutionary product and the first of its kind. 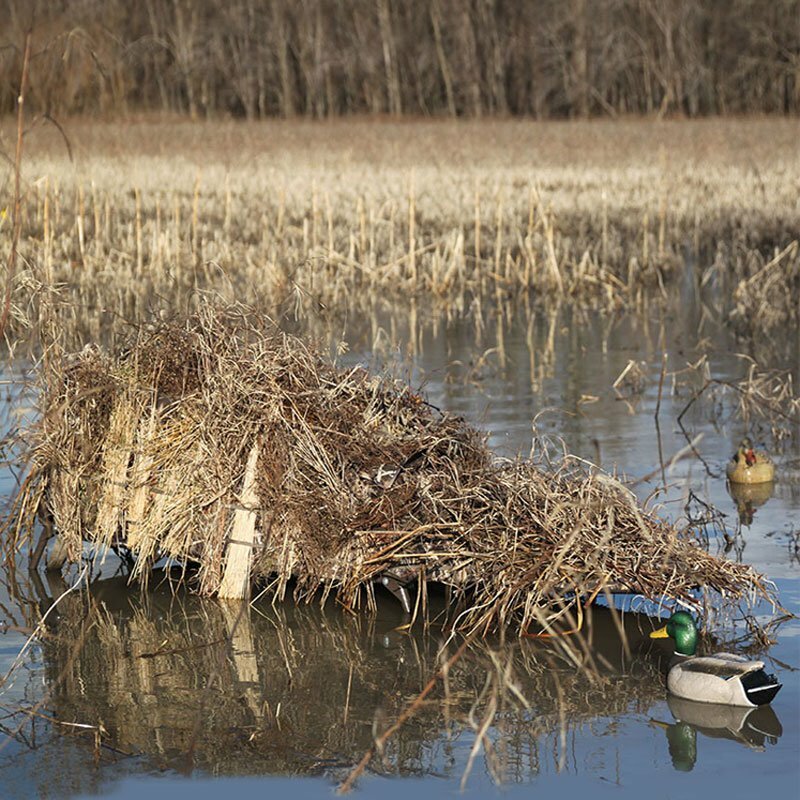 Whether you are chasing early season mallards in the backwater swamps or late season honkers in dry corn fields, the AT-X is the all in one tool for all your field or water needs.